A lot of people I know have written “bucket lists” for the summer holidays – a list of things to do and places to go. Now while we aren’t really on any summer holiday I still thought it would be nice to get a few ideas of things the kids would like to do over the next few weeks and really try to do these things. Both Jasmine and Thomas have mentioned things recently that they would like to do; Jasmine wanted to make soup and we managed that last week, Thomas has asked to make bread and hopefully we will do that this week. Thomas has also asked to go swimming and Jasmine wanted to go kite flying. 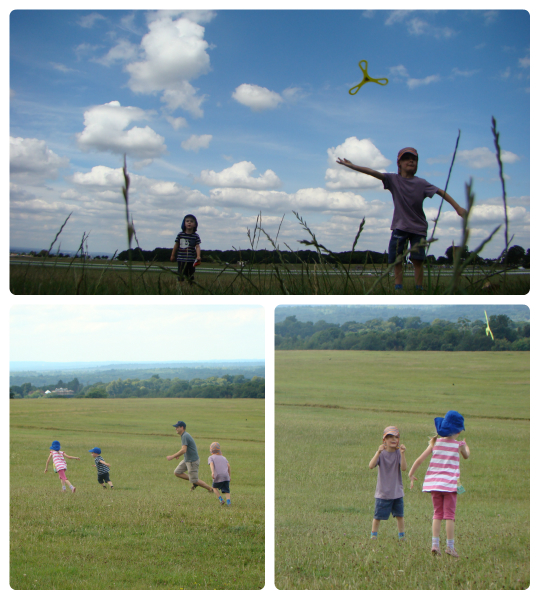 Today we ticked kite flying off the list. 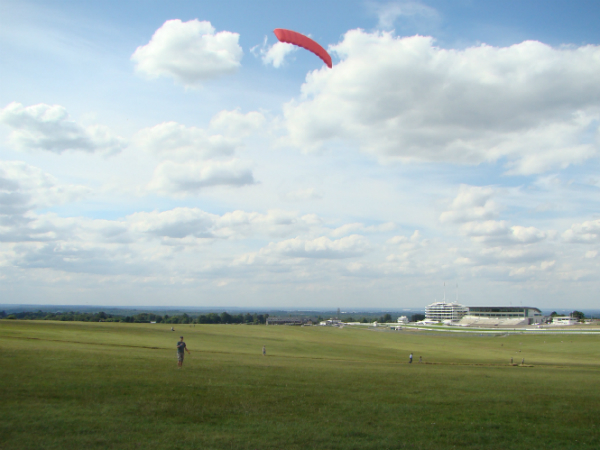 We went to Epsom Downs, somewhere we haven’t been before. It was a lovely warm day, not as hot as it has been recently. The sky was really beautiful. We found somewhere to base ourselves, under a big oak tree so we had some shade. Unfortunately we seem to have picked a very still day to go kite flying! There was hardly any breeze at all. 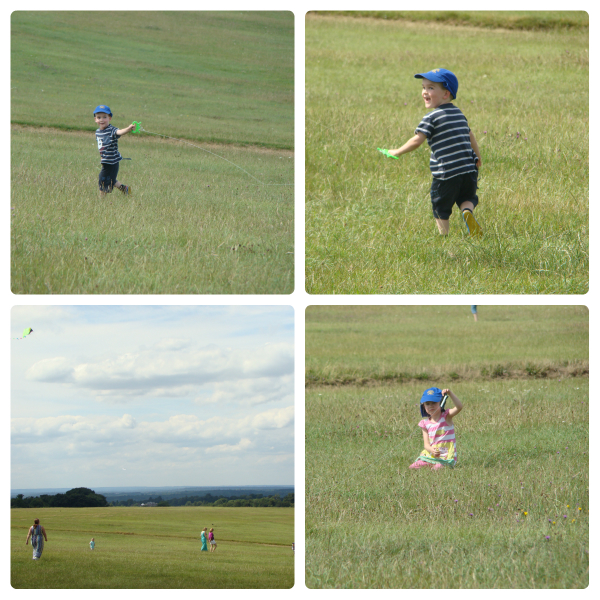 Luckily Gordon had packed a frisbee and a football as well as the kites, so the kids burnt off some energy and happily played with these for a while until we felt some wind. As soon as we felt the breeze we got the kites ready. The kids have two kites each, a pocket kite and a Brookite single line fun kite. Gordon had also taken two of his kites to try and fly. We got the Brookites out first and Jasmine and Thomas both flew theirs. It takes quite a lot of work getting the kites in the air when there isn’t much wind so we only managed two at a time today. 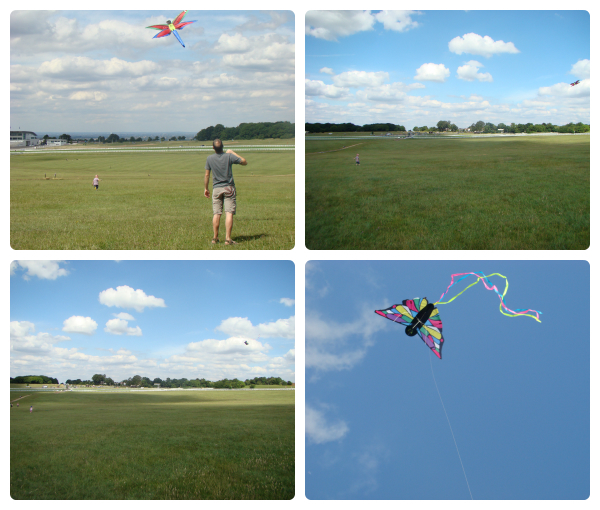 I tried to get one of the pocket kites up for Ben but it wasn’t quite windy enough to manage on my own. After another short break for football and frisbee the wind picked up again and this time Ben flew the pocket kite and Jasmine flew her Brookite butterfly again. The wind came in fits and starts and it was hard work to keep the kites in the air. When they were up they flew beautifully, but they didn’t stay up for long. 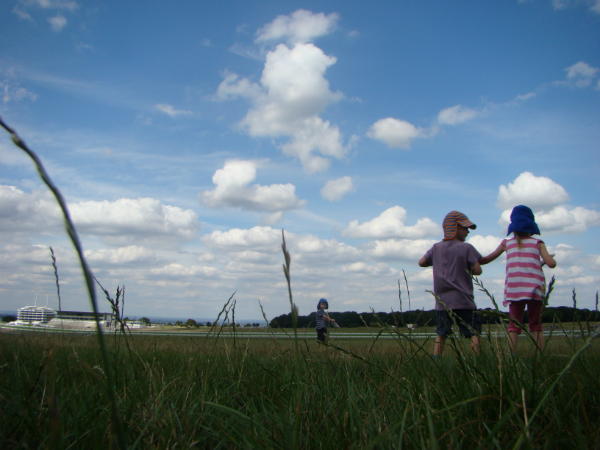 It gave me and the kids a good amount of exercise though, running up and down the hill trying to get them flying! After a good stint of wind we decided it was time to pack the kids kites away and get Gordon’s out. He only flew his smallest one, but it is still quite big and impressive to watch. We spent all afternoon out and had a really lovely time. We can’t wait to go back on a slightly windier day!